What’s Next for Preston Center, ‘Pink Wall’ Areas? 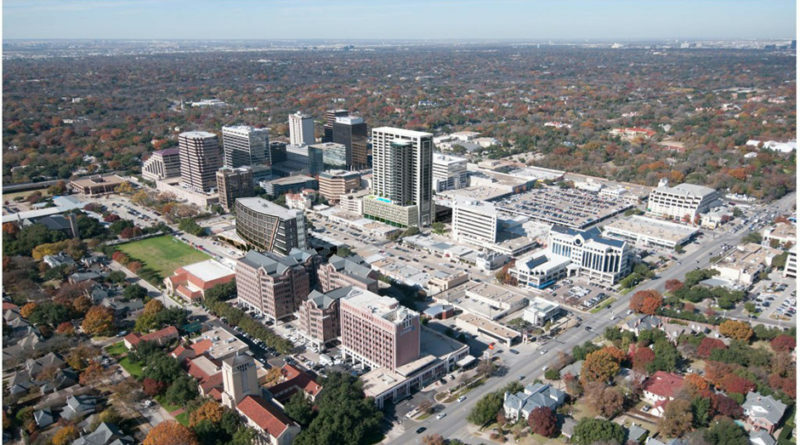 The direction of redevelopment along Northwest Highway could come into focus this spring as separate Dallas zoning cases and ongoing discussions over replacing the Preston Center garage progress. 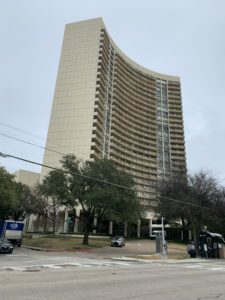 To the west, Saint Michael and All Angels Episcopal Church seeks to develop a 13-story residential tower and nine-story office building on the church’s property between Douglas Avenue and Dallas North Tollway. To the east and roughly across the street from Park Cities Baptist Church, reconsideration of Planned Development 15 (PD-15) could determine whether future buildings could stand many stories higher than seen now behind the “Pink Wall” – a faded brick wall along Northwest Highway that needs repairs. 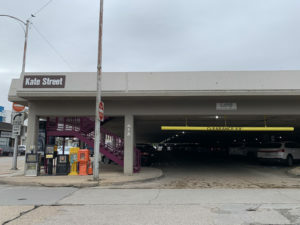 In between, Dallas City Council member Jennifer Gates has made addressing the Preston Center parking garage, considered an eyesore by many, a priority of what would be her third term in District 13 if reelected in May. 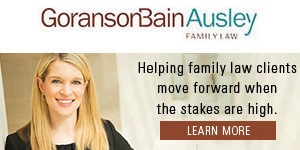 To that end, Gates set aside in the 2017 bond election $10 million to leverage with funding from the North Central Texas Council of Government and other sources to replace the garage, she said. But so far adjacent property owners have favored faster solutions than constructing an underground garage with a park on top. Another meeting on the matter is scheduled for Jan. 31. As for rezoning along Northwest Highway, Gates has faced criticism from former Mayor Laura Miller, who has accused the council member of siding with developers who would bring taller buildings, greater residential density, and increased traffic to the area. But Gates insists her goal is to foster neighborhood input on the issues. “I haven’t taken any position on these zoning cases,” she said. The next public meeting on PD-15, which dates back to the 1940s and restricts residential dwelling units, is expected sometime in February. In January, nearly 100 residents packed the Walnut Hill Recreation Center community room and heard a likely preview of what will be discussed in February before moving on to the Planning Commission and City Council. Andrew Ruegg, city of Dallas senior planner, presented staff recommendations for PD-15, an area that includes the Preston Tower, Diplomat, Royal Orleans, Diamond Head, Athena and Preston Place properties. PD-15 restricts development to no more than 52 units per acre. 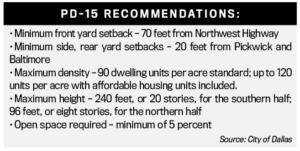 The staff proposes adding height restrictions of 240-feet on the southern half of the development and 96-feet on the northern half and increasing allowable units per acre to 90. Developers could build up to 120 units per acre by designating some as affordable units available to tenants earning less than the median family income. “We’re open to more suggestions, but this layout will more than likely be what we bring before the committees,” Ruegg said. The key word in this sentence is “if”. I’d say it’s very likely that Gates won’t win her next election. Many of my neighbors are not very happy with her current actions. If I wanted to live in Chicago or New York, I’d move to Chicago or New York, but I don’t want to live in cities that are that crowded and congested. Laura Miller is a obstructionist, pure and simple. Her legacy of “NO” has left many marks on Dallas’ potential to grow with vision & recognition that you can not remain stagnate. Her mishandling of a Downtown Dallas stadium for the Cowboys will remain her biggest failure for the city.